Although mild cognitive impairment is not the same as dementia, research suggests it may be a precursor to dementia, particularly Alzheimer’s. To reduce the likelihood that you’ll get mild cognitive impairment and that it will worsen, practice good lifestyle habits, like eating a nutritious diet, exercising, and managing health conditions that can impair brain function. Currently, as many as 15 to 20 percent of Americans aged 65 and older have MCI, according to the Alzheimer’s Association. Although MCI is not the same as dementia, research suggests it may be a precursor to dementia, particularly Alzheimer’s. According to Alzheimer’s Association statistics, as many as 15 percent of people with MCI may progress to dementia each year. More recently, experts have begun to classify mild cognitive impairment into two different categories based on the skills that are affected. Nonamnestic MCI describes mild cognitive impairment affecting thinking skills other than memory including visual or spatial perception (e.g., finding it more difficult to navigate your way around a once familiar location), the ability to judge the steps needed to complete a complex task (e.g., pulling together your financial information to file your taxes), or language processing (e.g., losing your train of thought mid-conversation). Amnestic MCI refers to MCI characterized primarily by memory changes. People with amnestic MCI have more trouble remembering things that once came easily to them—like appointments or conversations. They also may begin to lose or misplace things more frequently. These memory problems are relatively mild, but people with MCI perform worse on cognitive tests than others of the same age group. Amnestic MCI is more likely to be caused by underlying Alzheimer’s disease, and carries a greater risk of progressing to dementia. The National Institute on Aging reports that roughly eight out of every 10 individuals with amnestic MCI go on to develop dementia within seven years. People with mild cognitive impairment still can perform their daily activities, and have no apparent symptoms of dementia, although some complex tasks may require more effort or alternative strategies such as greater use of lists, calendars, etc. People with MCI can live independently and take care of themselves—for example, they can get dressed by themselves, prepare their meals without assistance, eat their meals, and go on walks without getting lost. But in AD and other dementias, these functions gradually disappear. To reduce the likelihood that you’ll get MCI and that it will worsen, practice good lifestyle habits, like eating a nutritious diet, exercising, and managing health conditions that can impair brain function, such as high blood pressure, triglycerides, blood sugar, and LDL (“bad”) cholesterol levels, along with other risk factors. If you believe you or a loved one may have mild cognitive impairment, consult a health-care provider who can help determine whether the memory impairment may be associated with a treatable physical or mental disorder. Being seen by a doctor can help ensure that you or your loved one gets optimal care, and has access to new treatments for memory problems as soon as they become available. Meanwhile, reduce daily frustration by adopting strategies to help with forgetfulness, such as making lists and keeping calendars of appointments. Whether or not you’ve been diagnosed with MCI, you should still plan ahead and make decisions regarding your future medical care and finances. Most people who live into their 70s, 80s, and beyond never experience memory problems more severe than normal age-associated slips. But for some, forgetfulness may get progressively worse, and begin to interfere with everyday functioning. If you or a loved one has memory loss and it seems to be getting worse or is impacting your daily life, it’s time to get help. A medical assessment may reveal that the problem is associated with a treatable physical disorder, rather than an irreversible condition such as AD. 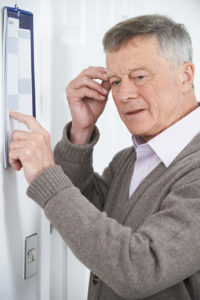 To learn more about conditions that affect your memory, purchase Combating Memory Loss at www.UniversityHealthNews.com. age associated memory impairment, aging, alzheimer, alzheimer s association, b vitamins, bad cholesterol, bad cholesterol levels, blood pressure, blood sugar, brain, cholesterol, cholesterol levels, cognitive impairment, dementia, diet, exercise, Forgetfulness, health, high blood pressure, ldl, mci, memory, memory impairment, memory loss, memory problems, mild cognitive, mild cognitive impairment, prevent memory loss, serotonin, Serotonin Deficiency, sugar, symptoms of dementia, the memory, Triglycerides, vitamins, vitamins for memory, your memory.